An exciting part of traveling RTW is meeting locals and fellow travelers from all over the globe (okay, mostly Germany). There is something about spending time with family and friends though that is totally different. When I reached Wellington for a short 36 hours on my way south, Josh (ex-bf) was passing through too on his way north. We busted out some dance moves with the rest of the Stray bus crew as some were hopping off and some carrying on. 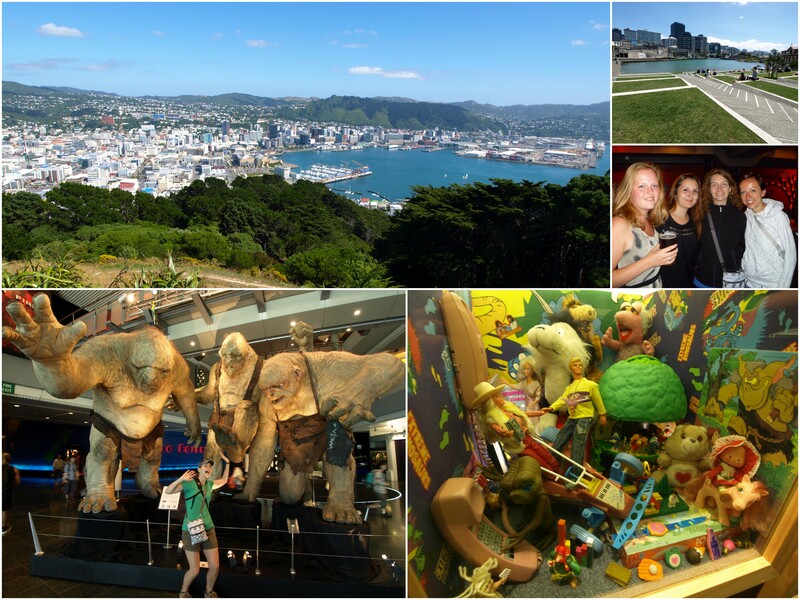 We hiked a hill for an amazing city view, strolled Welly’s incredible waterfront and through the free Te Papa museum before sharing a giant container of Hokey Pokey ice cream. Which was exactly what I needed as I grappled with traveling solo in that first week or two in New Zealand. 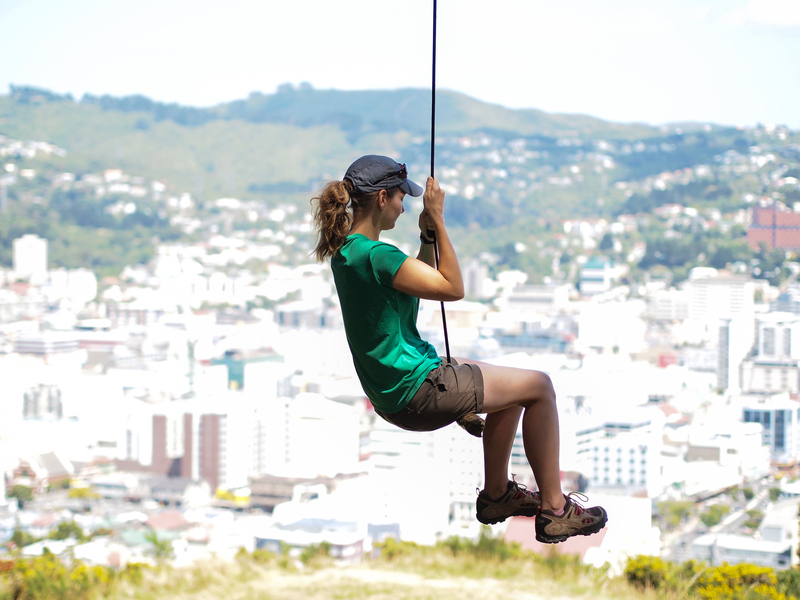 This entry was posted in NEW ZEALAND, RTW Destinations and tagged Hiking, Museum, New Zealand, RTW Destinations, Travel, Wellington. Bookmark the permalink. Alright, I was wondering how all this was working as we thought that when we ate break together that you guys said you were traveling together. Anyways, I think solo travel is fantastic. You meet people you wouldn’t have met, you can make your own choices and there is nobody to argue with. When we traveled together, it was stressful and we fought a lot which was surprising to us given that we weren’t used to arguing. It got so bad that we almost broke up and needed marriage counseling when we arrived in Scotland. Of course, we were traveling way too fast as well. We also met several people that had the exact same relationship troubles we did. I think you are better off traveling by yourself�.don’t you feel so great!!!! Love reading about all of your adventures.